An independent Scotland should use the pound without a formal currency union or the use of the Bank of England, the Adam Smith Institute has said. The free market think tank said that dollarised economies such as Panama show that banks can do better without a central lender of last resort. The pro-Union Better Together campaign said using the pound in the way Panama used the dollar would be "a disaster". Yes Scotland insisted that there would be a post-independence currency union. The Scottish government has proposed continuing to use sterling in a formal currency union with the rest of the UK if voters back independence, which would include retaining the services of the Bank of England. The UK government and the main Westminster parties have said they would rule out such a deal, and pro-Union campaigners have pressed First Minister Alex Salmond to set out a "Plan B", such as joining the euro or using sterling without the Bank of England as lender of last resort. Mr Salmond has refused to do so, insisting that the UK government would negotiate on a currency union if there is a "Yes" vote in September's referendum. But a new report, written by the research director of the Adam Smith Institute, Sam Bowman, has argued that sterlingisation - using the pound without the use of a central bank - would be "a significant improvement on Scotland's current arrangements". Opponents of independence have cited the use of the US dollar by some Latin American countries as a model that Scotland should not follow, but the Adam Smith Institute claims that the economies of Panama, Ecuador and El Salvador "demonstrate that the informal use of another country's currency can foster a healthy financial system and economy". The report reads: "Under sterlingisation, Scotland would lack the ability to print money and establish a central bank to act as a lender of last resort. "Evidence from dollarised Latin American countries suggests that far from being problematic, this constraint reduces moral hazard within the financial system and forces banks to be prudent, significantly improving the overall quality of the country's financial institutions. 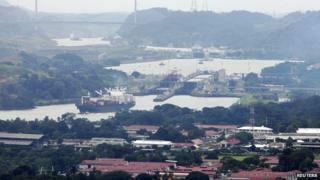 "Panama, for example, has the seventh soundest banks in the world." The report argued that making shareholders rather than governments ultimately responsible for banks would encourage better behaviour in the banking system. "Between 1716 and 1844, Scotland had one of the world's most stable and robust banking systems," it reads. "It had no central bank, no government-backed lender of last resort, and no bank bailouts. "When banks did fail, it was shareholders who were liable for paying back depositors, not taxpayers." Further, it argued a system of "adaptive sterlingisation would allow competitive, private banks to issue their own promissory notes backed by reserves of GBP (or anything else - including USD, gold, index fund shares or even cryptocurrencies like Bitcoin)". This report adds extra weight to the Yes campaign's claim that just using the pound anyway would be a viable option for a plan B on the currency. Previously the National Institute of Economic and Social Research said that 'sterlingization' should be bottom of the list of currency options because not having a lender of last resort would make the financial system vulnerable. Now the Adam Smith Institute have flipped that on its head by saying that not having a lender of last resort would actually create a more careful banking culture. What's not addressed is whether depositors could be convinced that a new system would be stable, or whether money would be pulled out of Scotland before the theory could be put to the test. A spokesman for Better Together said: "Using the pound informally in the way Panama uses the US dollar would be a disaster for Scotland. "It would bring about unprecedented spending cuts to our schools and hospitals and mean we would have no say over interest rates. This would push up the cost of credit card bills, car loans and mortgage repayments for Scottish families. "Alex Salmond needs to tell Scots his Plan B for currency. "Today we have the absolute reassurance that comes from the financial back-up of being part of the UK. Why put that at risk?" A spokesman for Yes Scotland said: "People in Scotland can be assured that we will be using the pound after a 'Yes' vote and there will be a currency union. "What the 'No' campaign says now and what they'll say after we vote 'Yes' are two different things. "They don't want us to have control of our own future and will say anything to try to get people to pass up on this unique opportunity. "But after independence a currency union will be agreed because it's undeniably the best and most sensible option for the rest of the UK as well as of Scotland." Meanwhile, a Nobel prize-winning economist who advises the Scottish government has said he believes the rest of the United Kingdom would form a formal currency union with an independent Scotland. Comments from pro-union politicians ruling out such a deal were "obviously a bargaining position" which would change after a "Yes" vote, Prof Joseph Stiglitz told US media company Bloomberg. Prof Stiglitz, who teaches at Columbia University in New York, said: "Once they get independence, if that happens, then I think there will be a very different position and countries can work with many different monetary arrangements." He also said current Scottish government policies like free university education proved Scotland is moving in a more socially democratic direction to the rest of the UK. Prof Stiglitz said: "Those policies are working. And that's a very different view from, say, the Cameron Conservative policies in England where they are raising tuition (fees) for universities. So the two parts of the United Kingdom are moving in very different directions."